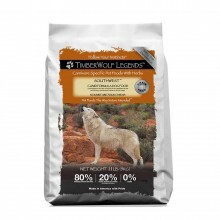 Choose favorit formulas of your dog, add quantity of bag to your cart and pay less. Buy 1 bag for 82€. Buy 2 bags for 74€/bag and get 10% discount. 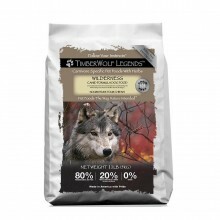 Buy 3 bags for 71€/bag and get 13% discount. 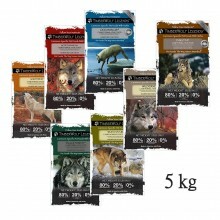 Buy 4 bags or more for 69€/bag and get 16% discount. 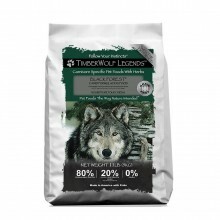 In product Legends CombiPACK 10kg you can combine different formulas and number of 10 kgs bags and we apply a discount in depending of the quantity of bags. 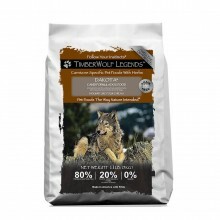 How do I properly feed my dog? 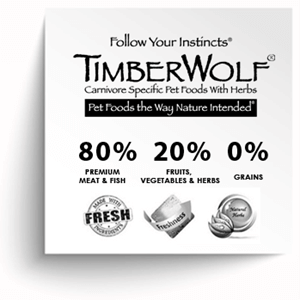 When switching to Timberwolf pet foods, gradually increase the amount fed while decreasing the previous food over a 5 – 14 day period. 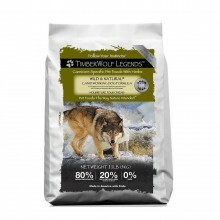 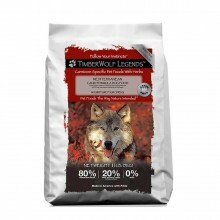 It is prudent to switch any new food gradually, but because Timberwolf pet foods are unique, your pet may need more time to increase the bacteria necessary to completely digest some of the ingredients. 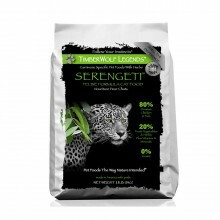 We have included direct-fed microbial or “probiotics” to assist in the development of beneficial colonies. 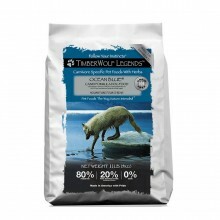 Please provide plenty of fresh, clean water for your pet at all times. 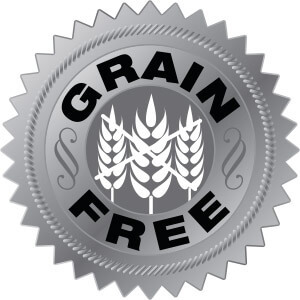 Read more about Recommended Daily Feeding.